Yesterday, was one of those days….I felt like everyone needed something from me. The baby was cluster feeding, and I felt exhausted. I never read forwards through email , but my mom had sent me one. As I needed some cheering I read the email. It was lovely, something I think any mom needs to hear. You can read it here, it’s called the Invisible Mother. On another note….. I added this to my shop, it’s really random, but I had these little spoons left over from a project, so I had made this, and still had some left over. What would you do with these little spoons? 6 comments - join the party! what a great idea for those spoons! i love the original necklace, too. what a smart and cute idea! love them! That's a great article. I saved it for those days too. Hugs! 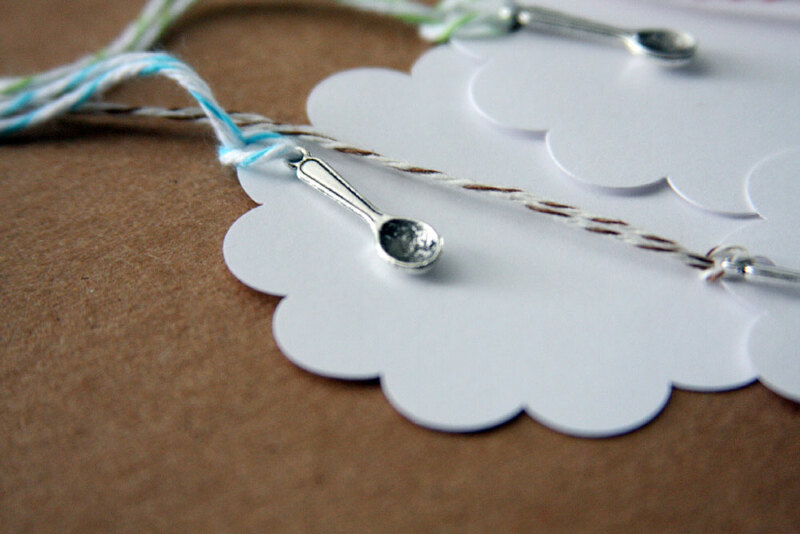 aw, those teeny tiny spoons are so precious! I would use them just as you did. I would love to get a baker related item with a tag that adorable!